On Pentecost Sunday, I was possessed. 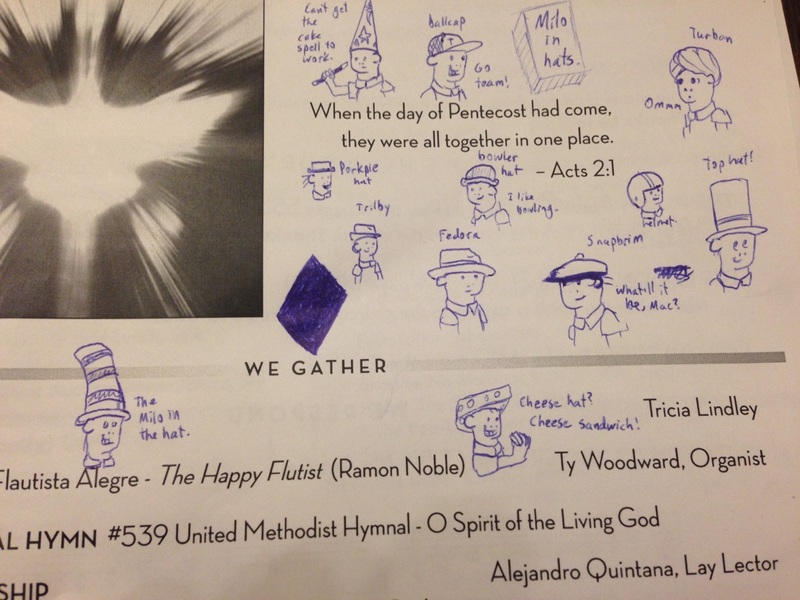 On my order of worship, I drew Milo in many hats. I figured they were fun enough to share.